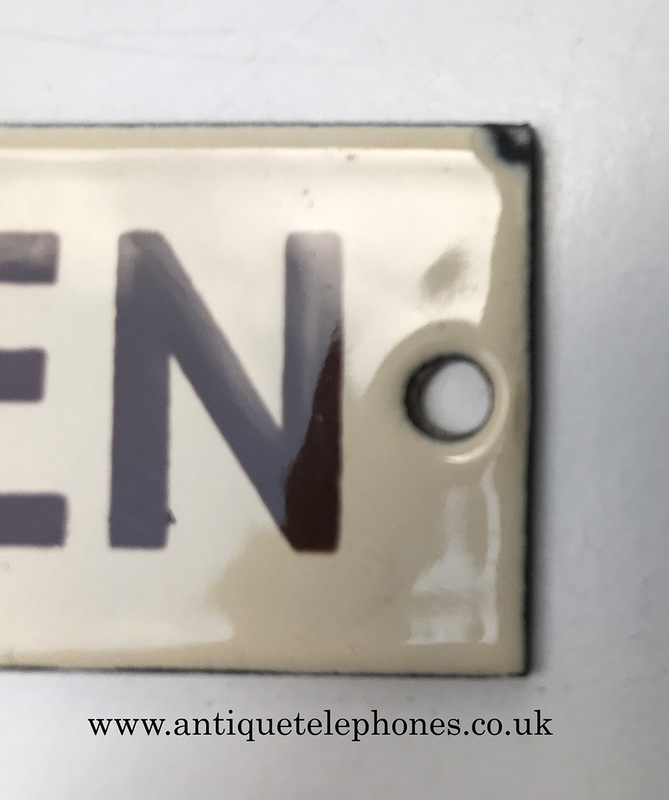 This is a wonderful little door enamel sign. 9" X 1 1/4" wide or 23cm X 3cm. one small chip to the top right corner as shown.